Microsoft offers the Remote Desktop Protocol (RDP) in Windows Server to allow remote desktop connections for multiple users, and while most versions of Windows include a RDP client, only the Professional, Ultimate and Server editions of Microsoft Windows offer the RDP server to accept incoming connections. Unlike the server editions of Windows, Microsoft limits the client editions of Windows to one concurrent user, whether remote or local, preventing multiple remote desktop connections. 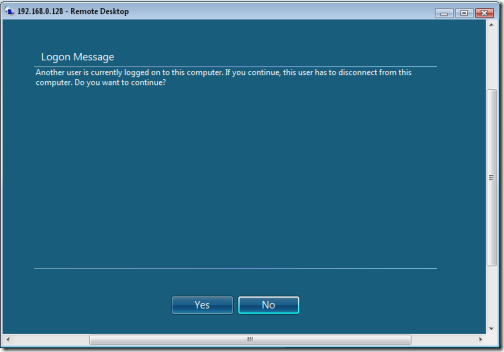 So if a remote desktop connection is made, no one physically at the PC can use it or even see the desktop without first kicking off the remote user. However, we'll discuss how you can remove this limitation so that multiple users can log in to a remote desktop simultaneously. Thus a remote user (or remote users) can log in to their account while also allowing a local user to log in to their account when physically at the PC. Download the Universal Termsrv.dll Patch (file download link updated 2/23/2016 with correct download) and extract the ZIP file. Additional information on the Universal Termsrv.dll patch is available on DeepXW's blog site, which lists 32-bit (x86) and 64-bit (x64) OS support for the patch on Windows XP SP2 SP3, Windows Vista SP1 SP2, and Windows 7 operating systems. Find the patch program you should run based upon your processor. For 32-bit (x86) it's UniversalTermsrvPatch-x86.exe, and for 64-bit (amd64) it's UniversalTermsrvPatch-x64.exe. NOTE: While the patch program will automatically create a backup of the Termsrv.dll file, to be cautious you can manually save a copy yourself. You'll find the file at \Windows\System32, and to undo the Registry changes it makes, you can save the .reg file that's included with the download and manually edit the Registry to remove the changes shown in the .reg file. For Windows XP you'll want to save the xp.reg file, and for Windows Vista and Windows 7, it's vista.reg. Windows should automatically configure Windows Firewall to allow the RDP traffic to pass through, but if you have a third-party firewall installed on the PC, you may have to manually configure the firewall to allow the traffic. As with normal remote desktop connections, remember that to remotely connect over the Internet you must configure your router to forward incoming RDP connections to the desired PC. And unless you perform other RDP settings modifications to change the RDP ports in the Windows Registry, you're basically limited to configuring one PC on the network for incoming connections via the Internet.